Choose a side to play, whether it is defence or offence. Complete the game for both humans and mummies and have fun. Make sure the objective of your side is completed. 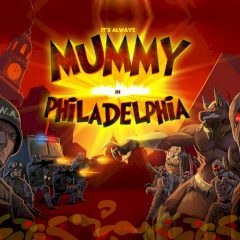 Are you ready to face the invasion of mummies? Nobody would ever guess it could happen to such big city like Philadelphia. Command your units and choose the best positions for defending key spots of the city. Spend money you earn from kills on purchasing units with more powerful weapons and deal with the wave!